There are a wide variety of docking programs available to the community at large; however, until now there have been no resources in existence for individual methods developers to provide a common and well-supported foundation for the development of new docking and scoring applications. The OEDocking TK from OpenEye is a new programming library that provides this core docking and scoring functionality. Coupled with the highly acclaimed cheminformatics functionality in OEChem, the OEDocking TK is an obvious choice for anyone seeking to develop new docking tools. 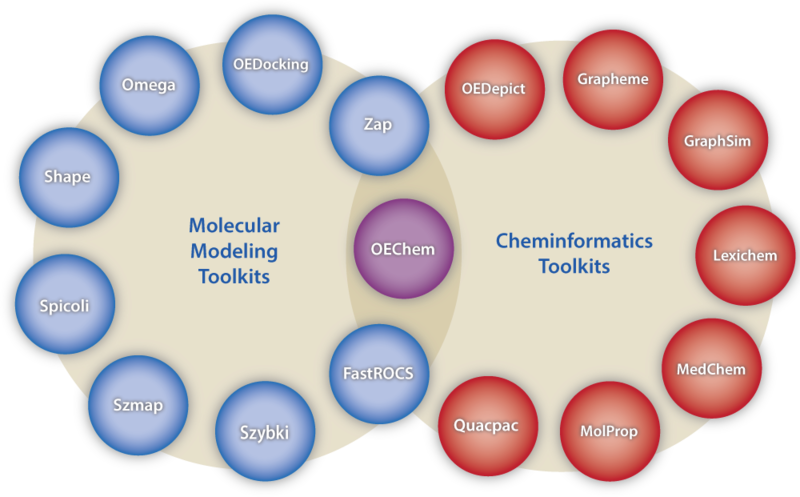 The initial release of the toolkit supports docking, scoring, and optimization with the Chemscore, Chemgauss3, PLP, and Shapeguass scoring functions. The ligand-aware Hybrid Docking functionality unique to OpenEye's FRED docking program as well as the POSIT shape fitting algorithm for pose prediction are also provided in the toolkit. C++, C#, Python, and Java are supported. Gaussian Docking Functions Mark McGann, Harold R Almond, Anthony Nicholls, J. Andrew Grant and Frank K. Brown, BioPolymers, 2003, 68, 76-90. Deciphering common failures in molecular docking of ligand-protein complexes Gennady M. Verkivker, Djamal Bouzida, Daniel K. Gehlaar, Paul A. Rejto, Sandra Arthurs, Anthony B. Colson, Stephan T. Freer, Veda Larson, Brock A. Luty, Tami Marrone and Peter W. Rose, J. Comput. Aided Mol. Des., 2000, 14, 731-751. Empirical scoring functions: I. The development of a fast empirical scoring function to estimate the binding affinity of ligands in receptor complexes Matthew D. Eldridge, Christopher W. Murray, Timothy R. Auton, Gaia V. Paolini and Roger P. Mee., J. Comput. Aided Mol. Des., 1997, 11, 425-445.